University of Pittsburgh Press, 9780822961604, 88pp. In her third poetry collection, Quan Barry explores the universal image of war as evidenced in Afghanistan and Iraq as well as Vietnam, the country of her birth. In the long poem “meditations” Barry examines her own guilt in initially supporting the invasion of Iraq. Throughout the manuscript she investigates war and its aftermath by negotiating between geographically disparate landscapes—from the genocide in the Congo—to a series of pros poem “snapshots” of modern day Vietnam. Despite the gravity of war, Barry also turns her signature lyricism to other topics such as the beauty of Peru or the paintings of Ana Fernandez. 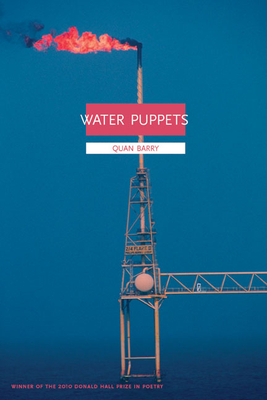 Quan Barry is the author of two previous poetry collections: Asylum and Controvertibles. She is professor of English at the University of Wisconsin-Madison where she directs the MFA program in creative writing.